Fluoride is a mineral found naturally in many foods and water. It is also found in most toothpastes, mouth rinses, and professional dental treatments. Fluoride is recommended by dentists due to its effectiveness in strengthening teeth and preventing cavities in both children and adults. When consumed or applied during dental treatment, fluoride makes the outermost layer of the teeth (enamel) more resistant to acid attacks and helps destroy the bacteria that causes cavities. 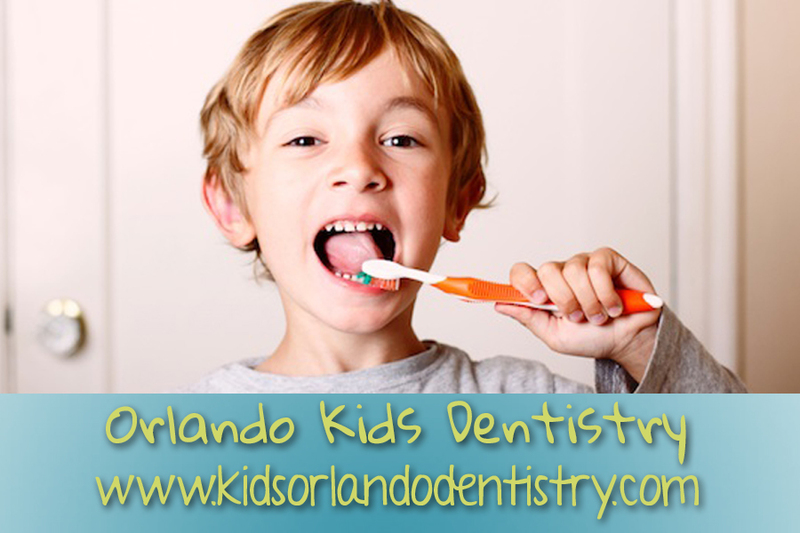 Visit Orlando Kid’s Dentistry for a topical fluoride treatment. Fluoride plays a very important role in the growth and development of teeth. Even before the teeth emerge during infancy, fluoride can be found in the body from foods, beverages, and dietary supplements. After the teeth have erupted, fluoride continues to benefit the teeth by reversing the early symptoms of tooth decay and rebuilding weakened tooth enamel. Additional protection is provided to the tooth surfaces through daily tooth brushing, as most modern toothpastes containing fluoride. WHAT ARE TOPICAL FLUORIDE TREATMENTS? Children and adults who are susceptible to tooth decay may benefit from a topical fluoride treatment. This type of professional dental treatment is available during your dental visit in the form of a foam, gel, or rinse. The fluoride product can be applied to the tooth surfaces by inserting a mouth guard filled with a foam or gel for several minutes. Fluoride varnish can also be painted onto the tooth surface. WHO CAN BENEFIT FROM FLUORIDE? Fluoride treatment is recommended for infants and children between 6 months and 16 years of age, as this is the time when the baby teeth and permanent teeth emerge. Other high risk groups can also benefit from fluoride treatments, including individuals who have poor oral hygiene, a history of tooth decay, minimal access to a dentist, a diet high in sugars, braces, or frequent snacking habits. It’s critical to ensure that you get enough fluoride from an early age to prevent the development of cavities. For more information about fluoride treatments or to schedule a procedure with our experienced dentist, contact our Orlando Kid’s Dentistry office today 407-502-0202.